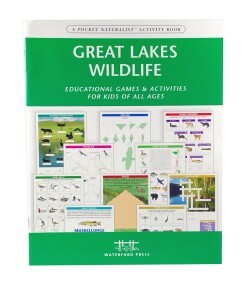 Great Lakes Wildlife Nature Activity Book, Educational Games & Activities for Kids of All Ages, is an activity book for grades K-12 from Waterford Press that features dozens of nature-related games, quizzes and classroom activities. Waterford Press understands the importance of teaching our children well. We also know that learning can be enhanced when information is presented in an entertaining format. 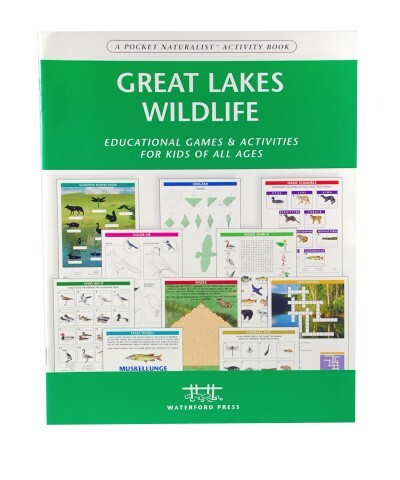 Designed to complement the K-12 curriculum, this Great Lakes Wildlife Nature Activity Book from Waterford Press features dozens of nature-related games, quizzes and classroom activities that encourage interest and engage children in nature and the natural sciences.